Five years after a US-NATO war shattered Libya, Washington is preparing to send troops into the oil-rich North African nation for a “long-term mission,” the Pentagon’s top uniformed commander said Thursday. Marine Gen. Joseph Dunford, the chairman of the Joint Chiefs of Staff, told reporters returning aboard his plane from a meeting of NATO commanders in Brussels that the new military deployment, which could involve thousands of US troops, could happen “any day.” It awaited only a formal agreement with the new government that the Western powers and the UN are attempting to set up in Tripoli, he indicated. General Dunford told reporters that there had been “intense dialogue” and “activities under the surface” aimed at bringing about the Libya intervention. This apparently referred to efforts by the US ambassador to Libya, Peter Bodde, and the State Department’s special envoy for Libya, Jonathan Winer, to wrest a formal request for military intervention from Fayez al-Sarraj, the unelected head of the Western-backed Libyan Presidential Council. Under UN and US tutelage, Sarraj and his allies established this council in exile in Tunisia, returning to the Libyan capital, Tripoli, at the end of March. It is obvious that this new puppet regime has been created for the sole purpose of providing a veneer of legality to another US-NATO military intervention in the devastated country. Sarraj’s legitimacy, however, is by no means clear. His is now one of three competing regimes, including the Islamist-dominated General National Congress (GNC) in Tripoli and the House of Representatives (HoR) based in the eastern city of Tobruk, which was previously recognized by the West as the legitimate government of Libya. Neither the GNC nor the HoR have recognized the authority of Sarraj’s presidential council. Nor is it clear what fighting force Sarraj can rely upon and the US and its allies can arm and train. It was revealed earlier this month that US Special Operations troops have been on the ground in Libya since last year attempting to contact and assess various rival militias to see which one could be employed in the service of Washington’s interests in the country. Ostensibly, the US and its allies are intervening to counter the rise of the Islamic State of Iraq and Syria (ISIS) inside the country. ISIS fighters, reported to number at least 5,000, have taken control of a stretch of the Libyan Mediterranean coast. It is no accident that the center of this territory is the city of Sirte, formerly the hometown of Libyan leader Muammar Gaddafi. 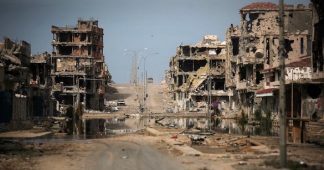 The city was reduced to rubble by US-NATO attacks in the days leading up to the October 2011 torture and murder of Gaddafi at the hands of US-backed Islamist militiamen. As in Iraq and Syria, Washington is justifying this new intervention in the name of combating a force that it itself spawned. Libya’s ISIS fighters came from the Islamist militias that the CIA and other Western intelligence agencies supported and armed in the bid to oust Gaddafi in 2011. Many of them were then sent into Syria, along with large stockpiles of Libyan weapons that were shipped to that country as part of an operation run out of the secret CIA station in Benghazi. That station and a separate US consulate were overrun by Libyan Islamist militiamen in September 2011, leading to the deaths of US Ambassador J. Christopher Stevens and three other Americans. Discussions on the coming Libya intervention took place at a meeting of foreign ministers from the US, Europe and the Middle East on Monday in Vienna. Among the decisions taken was to seek exemption from an arms embargo imposed by the UN after the fall of Gaddafi so that weapons can be funneled in to forces loyal to the puppet Sarraj, though it is, as of yet, unclear who those forces are. US Secretary of State John Kerry allowed that a “delicate balance” had to be found to prevent the arms from falling into the hands of Al Qaeda-linked and ISIS elements that Washington is ostensibly fighting. The real objective in Libya today, as in 2011, is the assertion of undisputed US-NATO hegemony over the country and its massive oil reserves, the largest on the African continent. 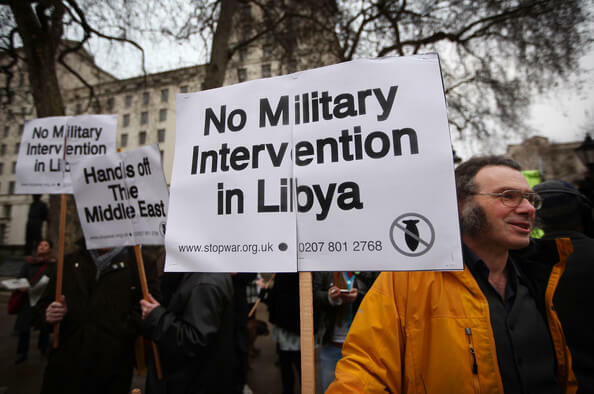 Having turned Libya into the model of a so-called “failed state” with its first intervention, Washington appears to want to impose some kind of neocolonial regime with its pending second incursion. 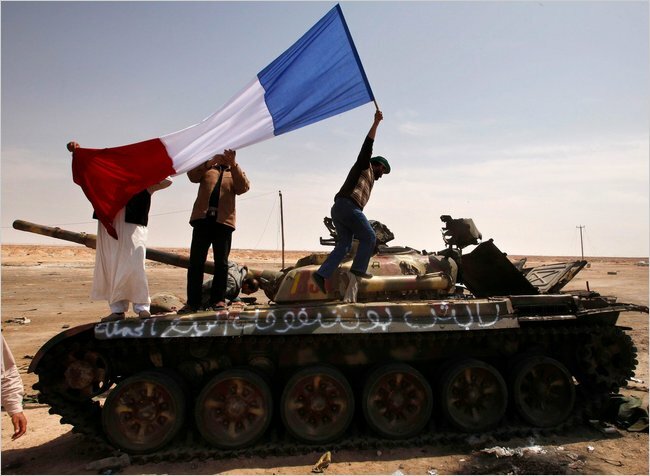 The centrality of oil is manifest in the operations of the two major armed militias that are being considered for the role of Western puppet forces. 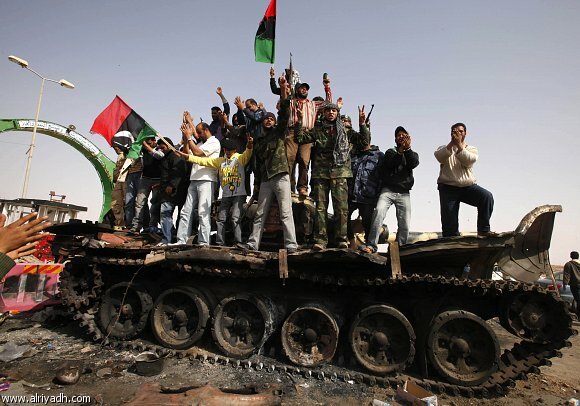 The first is the so-called Libyan National Army formed under the command of Khalifa Hafter, a former Libyan army officer who became an “asset” of the CIA in the 1980s, set up near the agency’s headquarters in Langley, Virginia and then airlifted by the Americans back into Benghazi during the 2011 war for regime change. Hafter’s forces have been moving slowly west from Benghazi toward the ISIS center of Sirte, expending most of their energies on seizing control of some 14 oil fields along the way. The fields were taken largely from the Petroleum Facilities’ Guards (PFG), whose commander, Ibrahim Jadhran, had sworn allegiance to the US-backed regime of Sarraj after previously seeking autonomy for the east and attempting to sell oil independently of the government in Tripoli. Meanwhile, a rival militia based in the city of Misurata in northwestern Libya has been approaching Sirte from the opposite direction with similar intentions. It is widely anticipated that these two forces, apparently the principal candidates for serving as the foundation of a Western puppet force in the country, may end up battling each other rather than ISIS. While General Dunford predicted a US-NATO intervention was imminent, he was less forthcoming about its composition. It had been reported initially that Italy, which exercised brutal colonial rule over Libya under the fascist dictatorship of Benito Mussolini, would lead the mission, providing upwards of 5,000 troops. 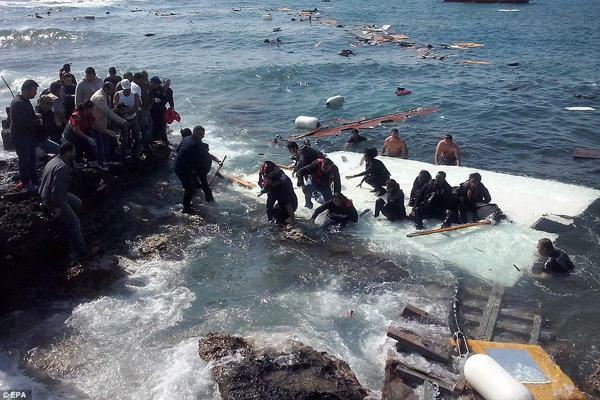 Among Rome’s principal concerns—aside from reasserting its old colonial ambitions—is securing the Libyan coast, which is expected to be the major route for refugees seeking to reach Italy, now that the EU has sealed off the so-called Balkan route. On Monday, however, Italian Prime Minister Matteo Renzi said that Italy would not send troops into Libya. “While under pressure to intervene in Libya, we have chosen a different approach,” Renzi said in a statement. For its part, Germany has reportedly rejected placing any of its troops in Libya, saying that it would only train Libyan forces in neighboring Tunisia. The apparent disarray within NATO’s ranks reflects the competing interests of the US and the various European powers as the Libyan intervention escalates what is emerging as a new imperialist scramble for Africa. As Washington prepares to launch another military intervention into a nation that it previously decimated through a war of aggression, its ongoing campaign in Iraq appears in growing danger. Baghdad was placed under military curfew Friday night after Iraqi security forces used tear gas and live fire to drive back thousands of antigovernment demonstrators who stormed the heavily fortified Green Zone, reaching the office of Iraq’s US-backed prime minister, Haider al-Abadi. 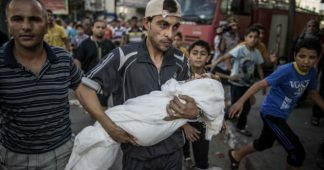 Initial reports indicated at least one civilian, and perhaps several, killed by security forces, and dozens wounded. Protesters, including supporters of Shia cleric Moqtada al-Sadr, had stormed into the blast wall-enclosed Green Zone on April 30 to protest government corruption and failure to provide basic services and security. Anger has only deepened in the intervening weeks as the result of a series of terrorist bombings claimed by ISIS that have killed more than 150 people in Baghdad this month. In the wake of the bloodshed in the Green Zone, there is a growing threat that an armed confrontation between government forces and armed Shia militias in the Iraqi capital could eclipse the so-called war against ISIS.